JEFFERSON CITY, Mo. – It seems that most members of the Missouri Senate were caught off guard as Sen. Bill Eigel’s tax reform package was perfected by the body. But perhaps no one was as surprised as Sen. Eigel when the body put forward almost no opposition. For Eigel, the work on tax reform began in October. Now, in late March, the Senate gave perfection approval to the 400-plus page bill, the 22nd version of the language. 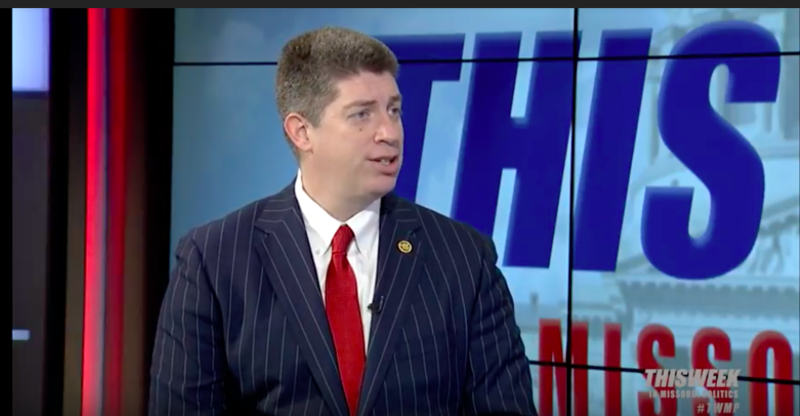 Eigel said that over the course of the past two weeks, he worked with his colleagues to try and find the right language that could meet the majority of the Senate’s wishes while putting together an all-encompassing package with changes to numerous levels and areas of the tax code. And to watch the process, it’s easy to understand why. The state’s upper chamber offered just two amendments to the bill, taking less than 30 minutes to perfect the legislation, a speed that surprised many. After being laid over during its first venture to the floor, many had assumed that the bill was almost guaranteed to lead to hours of debate for a second time. The result is a proposal that would lower the state’s current income tax rate of 5.9 percent to 5.25, with possible reductions in the future if revenues meet certain requirements. It also would lower the corporate tax rate one percent from 6.25 to 5.25, matching the corporate and personal rates. To offset the loss in revenue due to those proposed cuts, it calls for the repealing of a tax deduction given to businesses for filing their taxes on time, ending the federal corporate deduction, and starting to collect sales taxes on Internet purchases. As for the fuel tax, the bill now calls for a total increase of about eight cents and allows CPI adjustments to that until the year 2025, which should get the state to about a 10-cent fuel tax, up from the state’s current 17-cent motor fuel tax. The bill still would need to be third read and passed by the chamber, but Eigel says that he is optimistic that the work put forward already is a sign of the strength of the coalition of legislators.